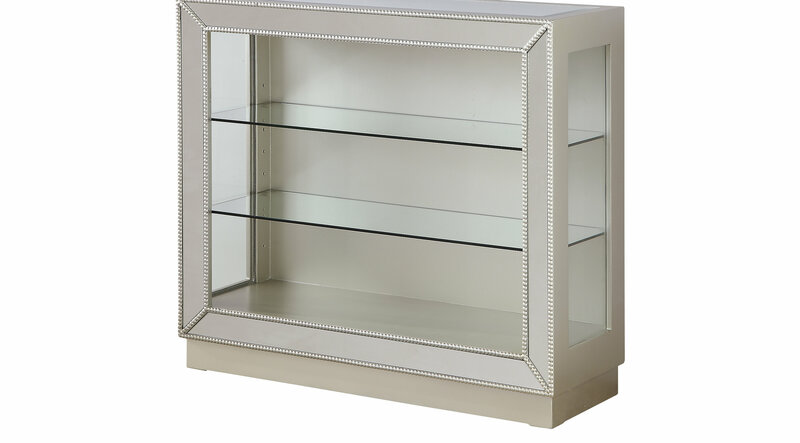 The splendor of silver has an allure all of its own, and our Agnes Road curio cabinet is a shining example. The mirrored surfaces are edged with silvered nailhead trim, reflective and enticing, while thick glass shelves are held aloft and open on the front and sides. Your prized figurines, artwork and books will be showcased like never before!